We have the honor of working with some incredible clients. 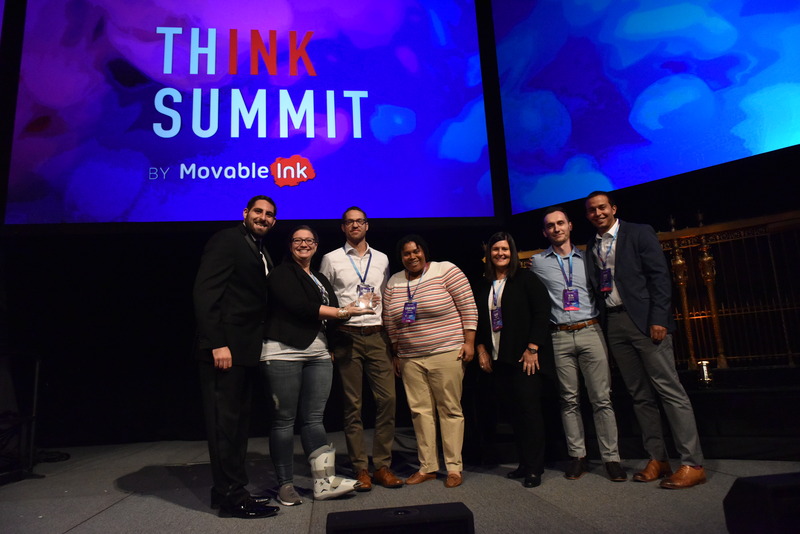 So, when Think Summit plans were in the mix, we knew it was the perfect opportunity to recognize some of our all-stars with the Inkredible Marketer Awards. Brenton has brought Movable Ink from Bloomingdale’s to Handy and now to Uniqlo. He’s used Movable Ink for over 6 years now and is serving on our inaugural Customer Advisory Board. 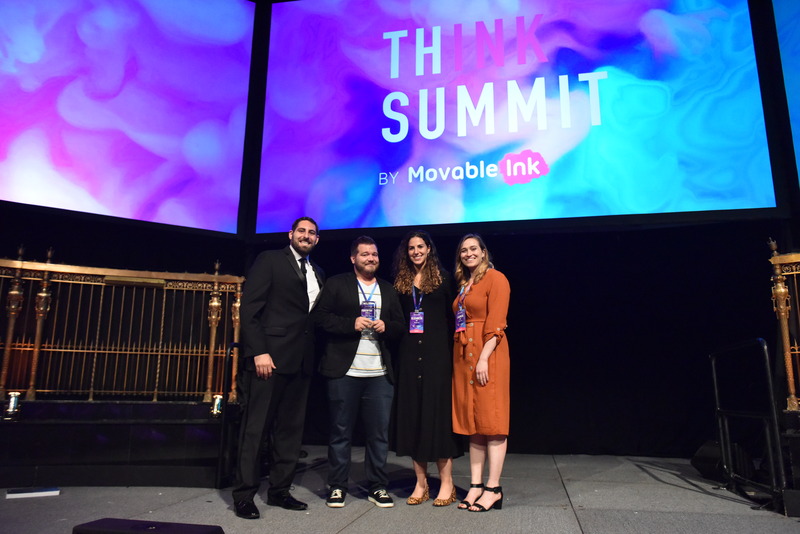 Brenton Downey has been with Movable Ink throughout his career and has brought us to many different brands along his journey, leveraging our platform in many different ways and through a variety of sophisticated use cases. Brenton has brought us from Bloomingdale’s to Handy and now to Uniqlo. He’s used Movable Ink for over 6 years now and has consistently been an internal champion for Movable Ink and has served as a reference multiple times to help potential clients understand the Movable Ink platform. This client started launching sophisticated Movable Ink campaigns within their first 60 days of partnering with our team. The NFL launched their daily Super Bowl newsletter within one month of signing up with Movable Ink. This newsletter went out daily for the week leading up to Super Bowl LII. The Movable Ink and NFL teams had very little time to come up with a strategy, but both parties moved quickly to power a live weather forecast, a device targeted mobile app banner so mobile readers would be directed to the proper app, and a curated Instagram feed built using data sources. They also launched an engaging tune-in email right before Super Bowl LII. Movable Ink powered a time targeted image with the start time and channel the game would be broadcasted on. At the start of the game, the image became a live scoreboard. As soon as the game was finished, the scoreboard was replaced by the winner’s final score. The live score and winner trigger were all powered by the NFL game score API. This company integrated with IBM Interact to provide real-time product recommendations to their customers. The Home Depot team also has integrated their pricing and product APIs into almost every promotional email campaign including their daily deals. Movable Ink works with your existing martech stack – no need to rip out or replace anything. In fact, Movable Ink supercharges your marketing technology investments by bringing them into the visual era. 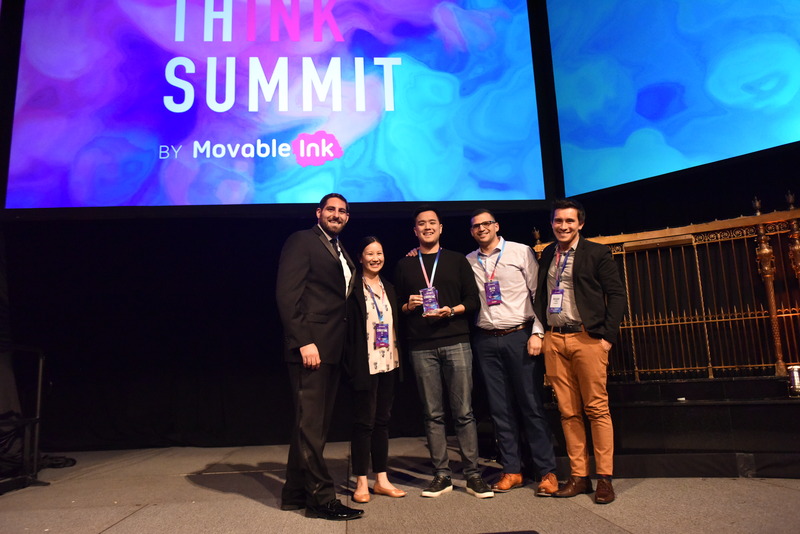 This client has gone above and beyond in leveraging Movable Ink’s platform to open up their whole marketing technology stack. Whether it’s using advanced API integrations, data sources, or combining Movable Ink with other prominent technology investments this client was able to achieve something they never thought possible before. They’ve integrated with IBM Interact to provide real-time product recommendations to their customers. The Home Depot team also has integrated their pricing and product APIs into almost every promotional email campaign including their daily deals. Rebecca could not attend the ceremony, so we hand-delivered her award later on! Rebecca Park has pioneered the use of Movable Ink across her organization. She integrated Movable Ink with a third party technology partner and deployed a variety of sophisticated use cases across Fabletics’ marketing campaigns, and their team has sent at least 50 campaigns leveraging Movable Ink within the past year. Fabletics’ successful use of our creative optimizer even caught the attention of their CEO. Rebecca and her team even implemented a company/brand-wide project tracker that helps keep them organized and informed about their work with Movable Ink, and are leveraging behavioral targeting to serve their customers the most relevant content. 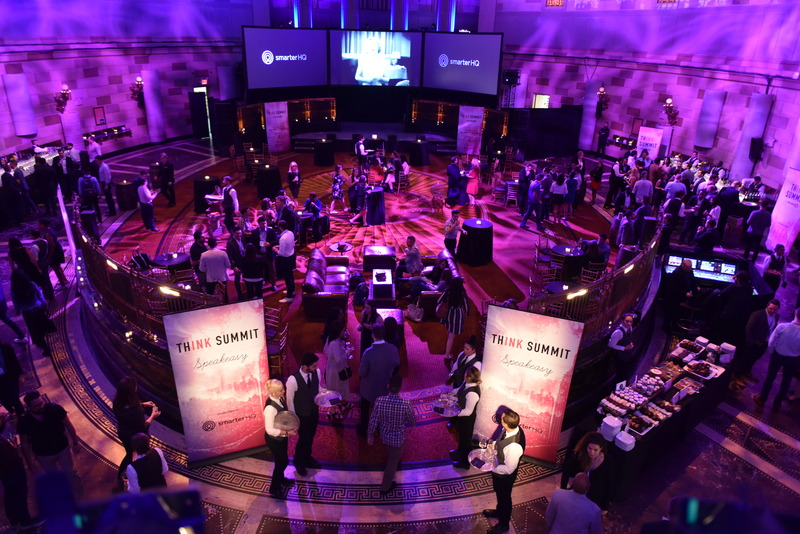 This year’s Think Summit was a hit, and we couldn’t have done it without you. This entry was posted in Content Marketing on October 4, 2018 by Carine Alexis.